Hopefully both of these automakers learn from their mistakes. Toyota recently teamed up with Mazda to develop EV cars and build a new $1.6 billion factory in the US. New EV models and a factory aren't the only good things that will come from the Toyota-Mazda partnership, however. Nikkei reports that the two automakers are also co-developing new technology that will underpin a new infotainment system. Toyota developed this new, Linux-based system for its new Entune 3.0, but brought in Mazda due to a lack of software developers in the Japanese auto industry. 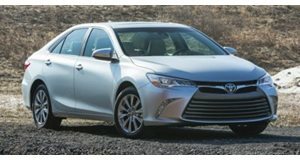 The first car to feature the new infotainment system will be the new 2018 Toyota Camry, which is already on sale in the US. 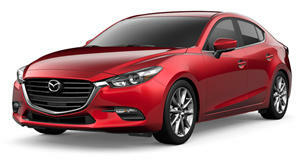 The first Mazda to use this system will likely be the redesigned Mazda 3, which is expected in 2018. It's still not confirmed when this system will start appearing on other vehicles from these manufacturers, but reports indicated that it will be rolled out in stages. We should point out that while Toyota and Mazda will share a system, this only refers to the platform on which it's built. Mazda's version should look very different, and each company will be responsible for developing new features and applications. Both systems will have Toyota's new WiFi hotspot, which will use a cellular network to deliver OTA updates and new apps. The hotspot can also power up to five user devices. This system is a much needed upgrade for Toyota and Mazda. Both of these automaker's current systems lack third-party apps like Slacker and Pandora, which will be supported on the new Linux system. We're slightly surprised that this new system won't support Android Auto or Apple Car Play. We don't know why Toyota is so adverse to phone mirroring systems, but we really wish that it would stop being so stubborn and let people have the option.